Despite yesterday being a holiday, I took a holiday from goofing off and being a lay about and went to work-so I didn’t get a blog posted. So today I did my drawing, well bratchild did, and I will share the winner with you in a minute but FIRST I wanted to share my thoughts on the Golden Globes-because I’m sure you all have nothing better to do and are just DYING to hear them. Other thoughts? I actually kind of liked old Sandy B’s bangs, though as a lifelong banger myself, I am partial but perhaps hers would have looked slightly better if they hadn’t come from the Jessica Simpson collection? Robert Downey Jr-we GET it. You’re crazy hot. BUT, and this is a big one, you’re at the Golden Globes. You were presenting. What possessed you to wear a blue suit and red tie a la Arnold Schwarzenegger? Please. On the subject of Marky Mark, oh lord how I wanted him to win, rip off his shirt in celebration and bust out some “Good Vibrations” type dance moves. And on the subject of Johnny Depp? I would feel like the biggest LOSER ever if I had 2/5 nominations and I STILL didn’t win. I don’t do math so I don’t know the percentages on that but you had a better chance than others and still didn’t pull out a W.
Scarlett Johansson we need to talk. You seriously split up with Ryan Reynolds to be Frankenstein’s bride? Oh, for shame! For what it’s worth-I hated the dress as well. As far as the Best Actress winner Natalie Portman? I’d like to extend my sincere congratulations to the back of her head. Her hair follicles and skull are terribly expressive and so deserving of the Oscar. Anyone see “Black Swan?” I thought it was interesting and well done and good but I didn’t really like it per se. But the constant filming of the back of her head? I felt like I was stalking her. I sure hope it’s credited on her little statue. In all honesty, I’m amazed I noticed a THING with all the SPARKLES and CRYSTALS on the stage. Loved it. As we all know…oh wait, shiny!…I’m pretty easily distracted. My FAVE dresses? Clare Danes (but please go eat 12 cheeseburgers), Mila Kunis, Melissa Leo (whoever the hell she is), Carrie Underwood, Emma Stone (please become a brunette again) and Olivia Wilde. Oh, and Jennifer Love Hewitt looked AMAZING-barring the bird’s nest on her head. I don’t understand how all these birds are dying, but perhaps she heard of their plight and this was her attempt at help? Worst dressed? There weren’t all that many. I mean, Helena Bonham Carter, obviously, and Leighton Meester but they make so many worst dressed lists it’s hard to even count them anymore. Jointly, they’re the new Bjork. What did you think of the Globes? Did you watch? Who was your best dressed? Who was your worst? Did you want to punch Ricky Gervais? OH and before I forget, the reason you’re ALL here, let me announce the winner of my supercallifragalisticexbealladosceuos giveaway, Just Call Me Oprah. It’s Patty from I mean really…really? 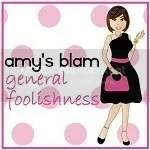 She’s funny and witty and now the winner of all the fabulous goodies! Patty, email me your address and I’ll get it sent out. (After I buy another bag of Godiva since I ate it during Snow-my-God 2011. CONGRATS! I never watch the Golden Globes or the Emmys. Johnny Depp perpetually needs a bath. And I’ve been over him since, well, always. Especially now that he lives is France and is just too bizarre for words. I love the comparison between the dress and the leg lamp. LOVE IT. The comparison, not the dress. Or the lamp. Are you saying I didn’t win? Because I’m pretty sure that’s what you’re saying. I was so mad at myself, I didn’t speak to me the whole next day. I FORGOT the Globes were on and I went off to stupid Disney with my family and no one thought to tape it. Anyway, I LOVED Ricky Gervais and I think the uber sensitive Hollywood elite who are only used to people stroking their tender little egos, needed to get over themselves. Also Angelina Jolie believes that smiling is against her religion. She has to look pained at all times. Robert Downey Jr is as scrumptious as Funfetti frosting and I want to lick him in the same way as said frosting. I didn’t notice his outfit. I only noted his lickableness and his charming speech. Also too? Annette Benning was a fright, but her speech was awesome beyond compare. And on that note, Mark Ruffalo was robbed. He is perfect in every way and he should have been nominated. One more thing, Melissa Leo is Christian Bale and Marky Mark’s mother in The Fighter and you MUST, MUST, MUST stop what you are doing this instant and go see this movie. You will love it that much. I too felt January Jones was simply trying to serve her boobage to us all on a strange wrinkled napkin. I am so excited to win the giveaway! Thanks so much and have a happy Wednesday. I’m kind of upset I missed them this year, if only to hear what the Ricky Gervais snafu was all about. Seems many people were up in arms about a few of his comments and I can see that it would make people slightly uncomfortable. Then again, I feel as though all these award shows have turned into roasts in recent years. They’re always so damn cringe-worthy. I actually liked January Jones’s dress but I’m with you on Scarlett Johanssen. What are your thoughts on Natalie Portman’s dress? I feel like I’m alone in this… but I kind of liked it. Or I just have an insane fem-crush on her and think she’d look adorable in a burlap sack. I totall agree about Scarlett Johannsen (spelled wrong, I’m sure, but to lazy to check) and, yes, I wanted to punch Ricky Gervais. This wasn’t a roast, it was an award show CELEBRATING, not demeaning, the craft. I have been stalking you for quite some time on your blog (not in real life b/c THAT would be weird) and I love your writing! I find you so entertaining. And I definitely agree with what you’ve been saying about the award show and Ricky Gervais.